As my two hands enveloped the palm of the 90 year old woman sitting next to me in church, she says to me, "Cold Hands, Warm Heart". Cold hands and feet have plagued me since I was a child. My widowed grandmother would share her bed with me when I came to visit and she always would tell me, "Your feet are like ice cubes; put some socks on." Since I've embraced knitting, I have discovered now fashionable fingerless gloves to keep my hands warm. They are perfect for working on the computer, knitting or just about any other task not involving liquid. More stylish versions are saved for special occasions. In the Pacific Northwest, fingerless gloves are perfect any time. 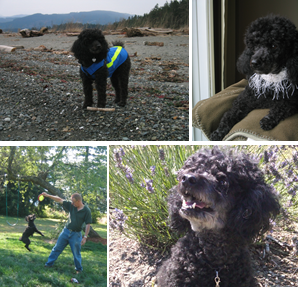 Over the years, I must have knitted over a dozen pair. Some I kept for myself and others were given as gifts. They are quite favored by my mother. There are two patterns that I most commonly use. The first is the Welted Fingerless Glove available at Churchmouse Yarns and Teas Shop on Bainbridge Island near Seattle. The great thing about this pattern is that it only requires one skein of yarn! I'm usually able to knit up a pair in an evening or two. 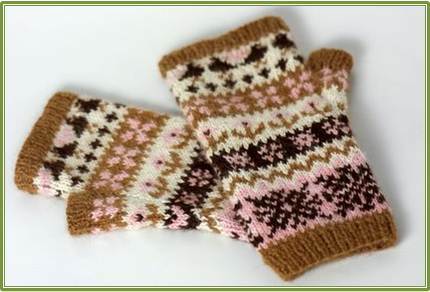 The second pattern is from Louisa Harding's ﻿Knitting Little Luxuries called Victoria Fingerless Mittens. 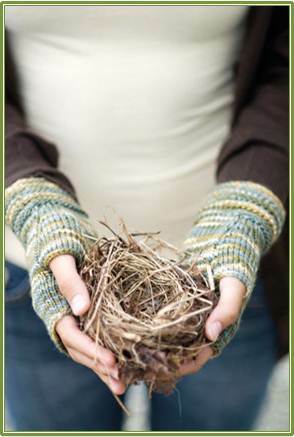 This pattern has a lace cuff and Louisa's yarn Grace Wool & Silk is truly a luxury - oh so very soft. 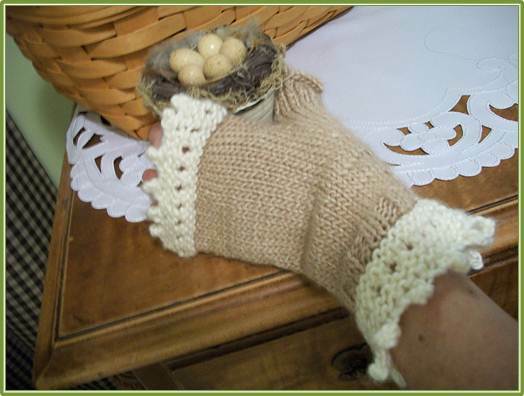 The pattern in the book is for mittens with a long, extended cuff. I have modified the pattern and made a version with shorter cuffs as well. I recently found a pattern called Wintry Mix Mitts by Grace Schnebly. I've been wanting to learn intarsia knitting but have always been intimidated by knitting a sweater with so many strands of yarn. This looks like the perfect project to learn intarsia, so I plan to give it a go in the next weeks.